Congratulations, you’ve braved the lines, delivery wait times, or in-store negotiations to snag yourself a brand-new iPad. But before you get to playing with your new device, you’ll probably want to set it up. Thanks to iOS’s step-by-step activation process, Apple’s made it pretty simple to get started; but just in case you need some extra help, we’ve put together a comprehensive guide for activating your new iPad, transferring data from your computer (or, if you had an iPad previously, from that), and some suggestions for exploring your device’s new features. You’re moving on up to the latest and greatest in the iOS world, and to do so, you’re leaving your old device behind. But before you send it off on its last voyage, you have to decide if you want to transfer its apps, data, and settings to your new iPad. If you do, you’ll need to make a backup (via iTunes or, if your old iPad is running iOS 5, via iCloud) of your information. Control-click your device in iTunes to bring up the Back Up option. Make a backup using iTunes: If you’re running iOS 4 or earlier on your iPad, or you want to make a backup quickly, an iTunes backup is the way to go. To update your backup (or to create a new one), connect your old device to the computer you normally sync it with via USB, open iTunes, control-click the device in the iTunes Source List, and select Back Up from the drop-down menu. You can also make a backup by pressing the Sync button. Whether this is your very first iPad or you’re moving from an Android, BlackBerry, or Windows tablet, it should be relatively painless to transfer information to your new device. Here are some suggestions for moving over mail, contacts, calendars, music, videos, and photos, as well as finding replacement apps for your currently used programs. Mail, contacts, and calendars: If you’re using a Gmail account or other POP or IMAP-based account for mail, it’s already syncing to a central server, and you should be able to add that account to your new iPad with few issues. Apple’s iOS has automatic setup for those using Microsoft Exchange, Gmail, Yahoo, Aol, or Hotmail; you’ll also be able to manually set up a POP or IMAP account for mail, LDAP or CardDAV for contacts, or CalDAV for calendars. If you don’t have an email account but want to make one, you can also create an iCloud account from the Mail, Contacts, Calendars screen in the Settings app. Music, videos, and photos: Your new iPad uses iTunes to sync any music, TV, and movies from the program to your device; photos can also be synced from iPhoto, Aperture, or a photos folder. To sync any music or video you have on your computer, add it to iTunes; to sync your photos, add them to iPhoto or Aperture (on a Mac) or place them in your Pictures folder (on a PC). If you’ve purchased things from the iTunes Store before, you can redownload those for free after you set up your new iPad by going to the Purchased tab in the iTunes app. If you’ve purchased content that hasn’t been copied to your computer (say, if you’re using Amazon Cloud Drive), you should be able to download it to your desktop system, or, at the very least, install an app on the iPad (like the Kindle app for book purchases) that lets you access the information. Apps and miscellany: If you’re moving from another tablet with a different OS, you unfortunately can’t port any of those apps to your iPad. On the upside, you may be able to find parallel versions on Apple’s App Store (for instance, if you’re using Dropbox on your smartphone or Android tablet, you can download the company’s iOS app and continue to access your Dropbox data). If you have apps with valuable information you don’t want to lose (notes apps, to-do lists, and so on), you can poke around to see if there’s any way of exporting that information; otherwise, you’ll be out of luck. In past years, to activate an iPad (or any other iOS device), you had to tether it to your Mac or PC and launch iTunes; not so with the latest iPad. Instead, you can set things up directly on the device itself—no computer need ever be involved. Set Me Up: To begin the activation process, slide the switch to the right. Users with visual impairment can also take advantage of iOS’s VoiceOver screen-reading system during the setup process by triple-clicking the Home button. To begin the activation process, slide the switch to the right, where you’re asked to pick your language, country, and if you’d like to enable Location Services. This allows Apple apps (and third-party apps) to access your location via Wi-Fi networks and your Global Positioning System (GPS) location. Your iPad will check for any Wi-Fi networks in the area that you can connect to; unfortunately, if it doesn’t find any, you’ll have to set up your iPad via iTunes and the computer. 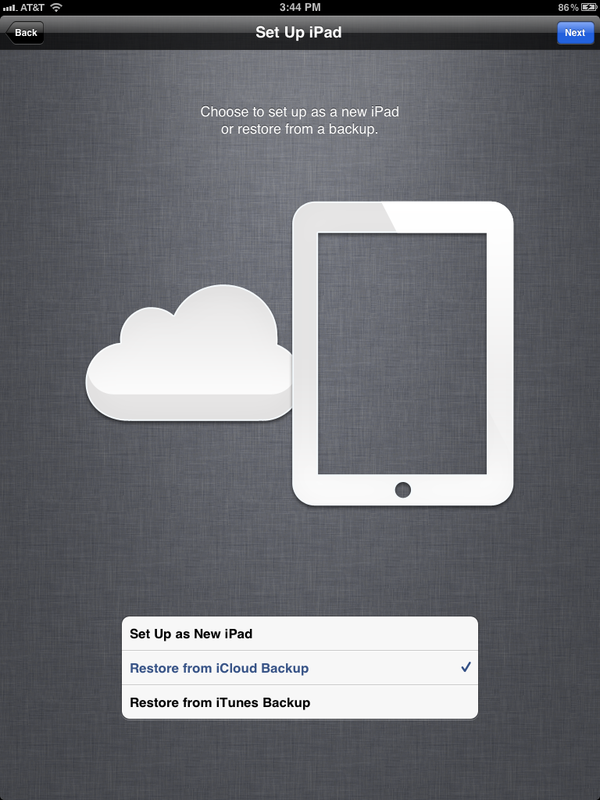 Choose Your Own: You can set up your new iPad as a new device, or restore it from a backup. If you’re upgrading from an older iPad, you’ve hopefully made a backup of that information, either via iCloud or iTunes. Choose one of these options to copy that information to your new device. Restore from iTunes backup: If you tap Restore From iTunes Backup, you’re brought to the Connect To iTunes screen. Connect your iPad to your computer and open iTunes; after clicking on your device in the Source list, you see the Set Up Your iPad screen, which asks if you’d like to set it up as a new iPad or restore from a specific backup. Choose the correct backup, and then click the Continue button to proceed. This process is significantly faster than restoring from iCloud because you’re transferring data over USB, not over Wi-Fi. Once you choose either option, your device will activate and begin the restore process. Email Identification: Your Apple ID is an email address--one you already use, or a new email you create on the spot. Don’t have a backup of an older device, or don’t want to use one? It’s easy to start fresh. The first thing you need to decide is whether to supply an Apple ID (or create one, if you don’t have one). 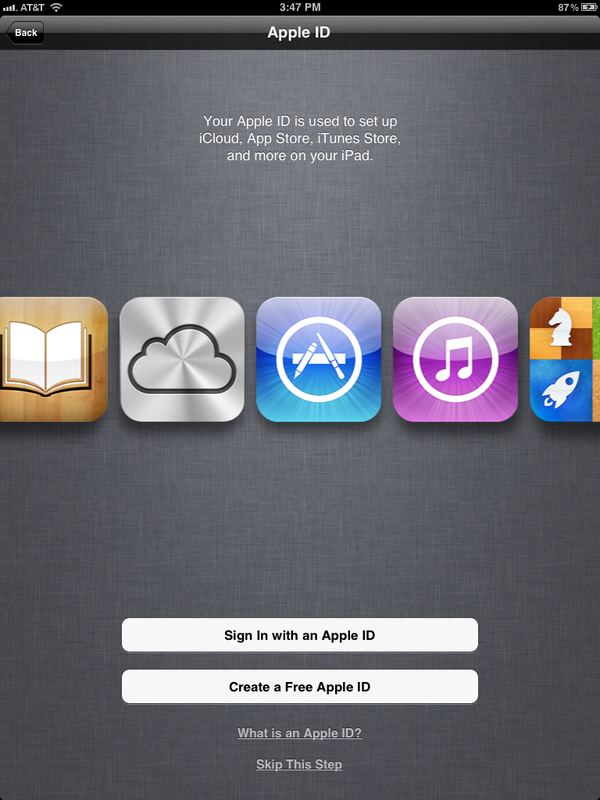 You use your Apple ID to buy music from iTunes, apps from the App Store, books from the iBookstore, and for iCloud. What’s an Apple ID? : If you’ve ever purchased something from the iTunes Store, you’ll have signed up for an Apple ID—it’s usually your primary email address. 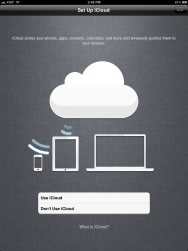 Your login information for Apple’s MobileMe or iCloud service should also work when signing in. Use your current Apple ID: Already have an Apple ID? Tap the Sign In With An Apple ID button and enter your username (usually your email address) and password. Apple will then spend a few moments linking your device to your Apple ID. Sign up for a new Apple ID: If you don’t have an Apple ID, it’s easy enough to create one by tapping the Create A Free Apple ID button. You’ll need to enter your birthday, name, your email address (or create a new iCloud email address), a password, a security question (in case you forget your password), and whether you’d like to receive email updates from Apple. No Apple ID for me: If you’d rather not set up an Apple ID, you can tap the Skip This Step link in the lower right corner. You can always add or create one from the Settings app later, but note that you won’t be able to buy anything on the iTunes Store or set up iCloud until you do. Send to the Cloud: If you want to keep your iPad in sync with your computer and other iOS devices, back it up remotely, and find it when it’s been lost, you should enable iCloud. Choose to set up iCloud, and you’ll first be asked whether you’d like to enable iCloud backups for your device. If you do so, you can have your iPad back up all essential settings to your iCloud account; if you ever need to restore, you can do so over Wi-Fi without an additional computer. You can also elect to have your iPad back up to your computer using iTunes. Additionally, you’ll be asked whether you’d like to opt in to iCloud’s Find My iPhone service. This will enable location monitoring for your iPad, allowing you to find it using your Apple ID and the Find My iPhone app from another iOS device, or by logging into your iCloud account online, should it go missing. Once you finish the setup process, you’ll be asked if you’d like to send Apple anonymous diagnostics and usage information (similar to a desktop crash report). After that, your iPad will be all set and ready for you to begin using. Those of you who have purchased an iOS device before know the drill, but for those first-timers, here are a few quick pointers for getting acquainted with your device. Learn how to tap, drag, and multitask: If you’ve never used an iOS device before, check out our primer on Multi-Touch gestures and using the multitasking bar. Tweak your settings: Most of the underlying system information for your new iPad—network settings, Mail, sounds, messages, restrictions, wallpaper, and more—is kept in the Settings app. As such, it’s a good place to start when you’re first getting acquainted with your device. Get a data plan: If you purchased an iPad with a cellular connection and plan on using it to browse the internet, you need to sign up for a data plan. You can do so by launching the Settings app and tapping Cellular Data. Explore the App Store: Your iPad comes with a bunch of cool built-in apps, but you may want to reach to third-party programs for more interesting fare. The App Store, which you can access on your device or via iTunes on your computer, features more than 200,000 downloadable apps customized for your iPad, and more than 350,000 other apps meant to run on an iPhone but that can work on your iPad, too. App Hunt: Search for interesting third-party apps via the App Store. 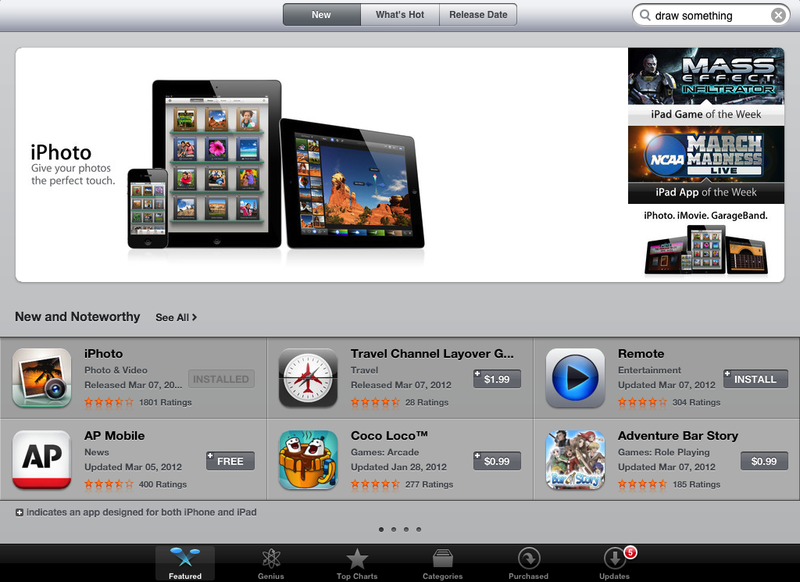 To explore the store on your iPad, tap the blue App Store icon on your home screen. The store is divided into six sections: Featured (Apple’s special picks), Genius (personalized recommendations), Categories (all iPad apps, sorted by label), Top 25 (the top-purchased and downloaded iPad apps), Purchased (all apps you’ve bought with your Apple ID), and Updates (any third-party updates and patches will show up here for you to download). Featured and Top 25 are both great places to start looking for recommended apps, and you can search the entire App Store by tapping on the Search tab. Now that you’ve managed to transfer your old information, set up your new iPad, and start using it, it’s time to figure out what you’d like to do with your old device. 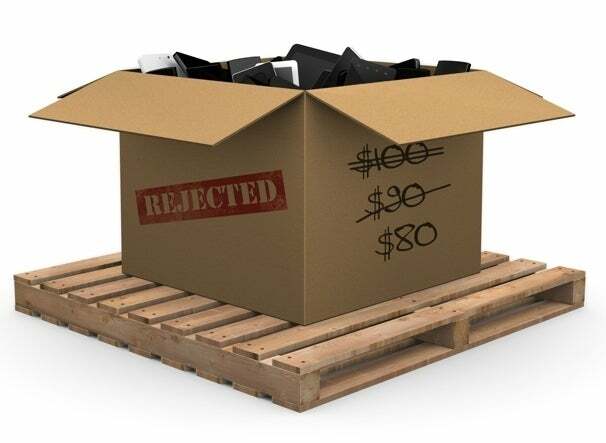 If you’re interested in selling, recycling, or passing it along to a friend or family member, Macworld writer Lex Friedman whipped up a handy guide that contains the steps you’ll need to take. We ran a version of this story for the iPhone 4S last year. 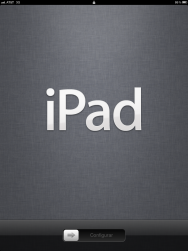 This story, "Get started with your new iPad" was originally published by TechHive.